Should I write my grandmother? Bless her heart! Everyone needs to meet my Big Momma. She has a way with words. 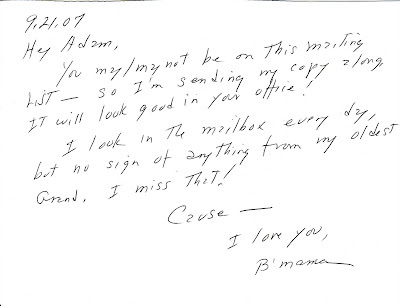 80+ and still giving me a hard time about my correspondence frequency.